If you think that you and your family are immune to the surging epidemic of neurodegenerative disease, think again. Neurodegenerative disease, including Alzheimer’s disease, is the fastest-growing cause of death in the world. It’s getting worse every day thanks to mismanagement and misinformation. Infectious proteins known as prions are involved with most forms of neurodegenerative disease. Prion disease is known in neurology as transmissible spongiform encephalopathy (TSE). The operative word is “transmissible.” The global epidemic has more to do with the prion contagion than age. Dr. Stanley Prusiner, an American neuroscientist from the University of California at San Francisco, earned a Nobel Prize in 1997 for discovering and characterizing deadly prions and prion disease. 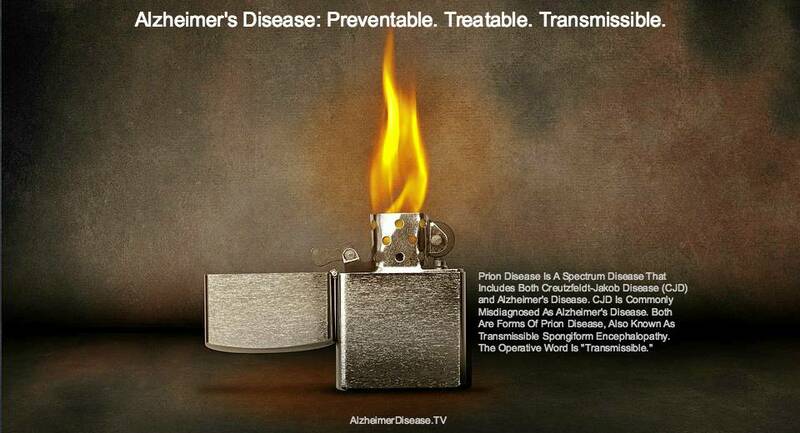 Prusiner claims that all TSEs, including Alzheimer’s disease, are caused by prions. President Obama awarded Prusiner the National Medal of Science in 2010 to recognize the importance of his research. 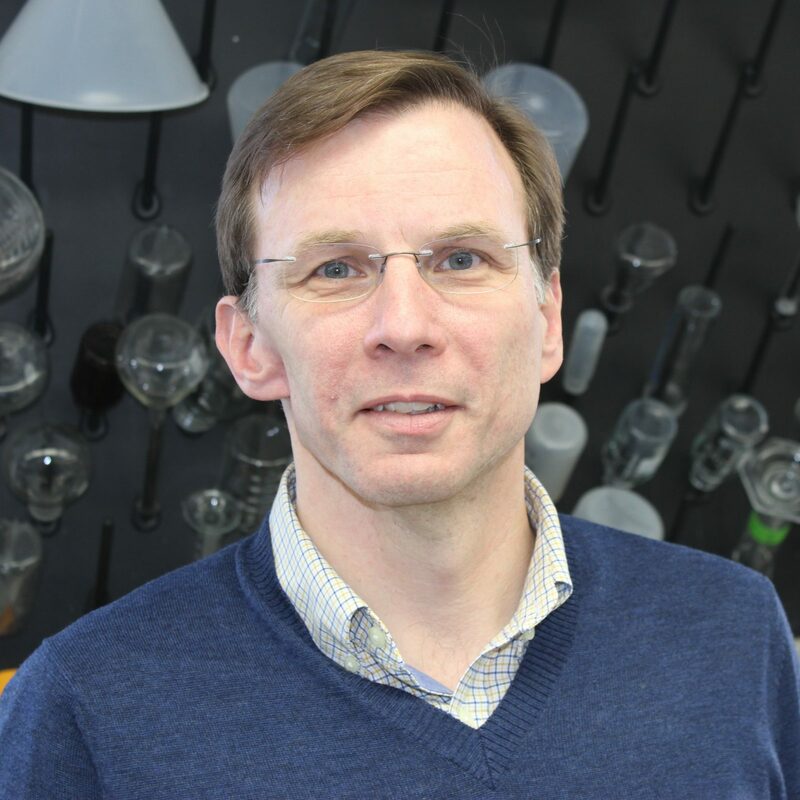 According to Prusiner, TSEs are a spectrum disease. Creutzfeldt-Jakob disease, which is extremely aggressive and extremely transmissible, is at the extreme end of the spectrum. Unfortunately, Prusiner’s science is being ignored and we are facing a public health disaster because of the negligence. Neurologists are just guessing when they make a diagnosis on the prion spectrum. If the patient exhibits memory problems, they are labeled with Alzheimer’s disease. If they have a movement disorder, they are diagnosed with Parkinson’s disease. If the person exhibits extreme symptoms of both, they are diagnosed with Creutzfeldt-Jakob disease (CJD). It’s far from a science. Neurologists don’t know where along the spectrum the disease becomes transmissible. The entire spectrum could represent a transmissible disease. Unfortunately, neurologists are not warning these patients and their caregivers about the risks of exposure. Even those with Creutzfeldt-Jakob disease are not quarantined. They are sent home, where they can infect friends, family, caregivers, clinics, dental offices, restaurants and entire communities. A study published in the journal Nature renews concern about the transmissibility of Alzheimer’s disease between people. A second study released in early 2016 by the same scientist adds to the stack of evidence. According to neuroscientist Laura Manuelidis, at least 25 percent of Alzheimer’s diagnoses are wrong. These misdiagnoses are actually CJD, which is further up the prion spectrum. CJD, without dispute, is extremely infectious to caregivers and loved ones. Studies confirm that people and animals dying of prion disease contaminate the environment around them with prions because prions are in the skin, urine, feces, blood, mucus and saliva of each victim. Each victim becomes an incubator and a distributor of the Pandora-like pathogen. Victims are contagious long before they exhibit clinical symptoms. At the personal level, this is very bad news for caregivers, especially spouses, who are 600 percent more likely to contract neurodegenerative disease from patients (Duke University and Utah State University). A cough, sneeze, utensils and drinking glasses all become lethal pathways. Once an item is contaminated, it’s impossible to sterilize. The human prion is resistant to both heat and chemicals. It’s reported that prions released from people are up to a hundred thousand times more difficult to deactivate than prions from most animals. Prions are not alive, so they can’t be killed. Wastewater treatment plants are collecting points for prions from infected humans. The sewage treatment process can’t stop prions from migrating, mutating and multiplying before being discharged into the environment where they can kill again. The bad news is that the prions are being released back into the environment and dumped openly on land. The wastewater is being reclaimed and used for irrigating crops, parks, golf courses. It’s even being recycled as drinking water. Claudio Soto, PhD, professor of neurology at the University of Texas Medical School in Houston, and his colleagues confirmed the presence of prions in urine. Soto also confirmed that plants uptake prions and are infectious and deadly to those who consume the infected plants. Therefore, humans, wildlife and livestock are vulnerable to prion disease via plants grown on land treated with sewage sludge and reclaimed sewage water. Thanks to more and more people dying from TSEs, wastewater treatment systems are more contaminated with prions than ever. Wastewater treatment plants are now prion incubators and distributors. The prion problem is getting worse every day. The U.S. Environmental Protection Agency (EPA) has confirmed that prions are in sewage and that there has been no way to detect them or stop them. As such, the EPA has never issued guidance on prion management within wastewater treatment plants. 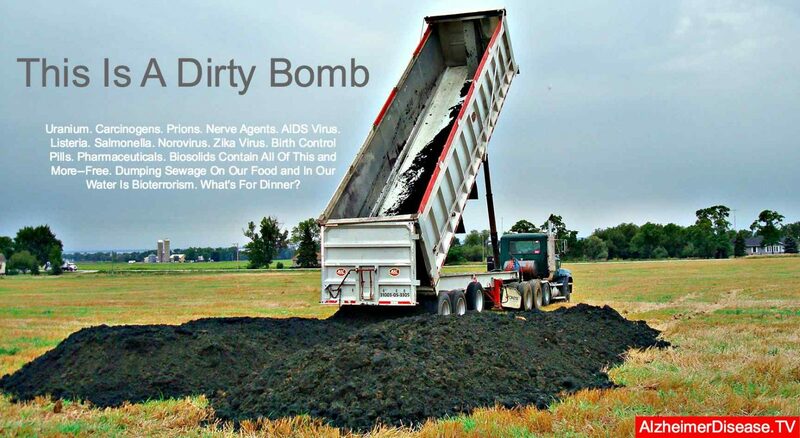 Unfortunately, the EPA’s risk assessment on sewage sludge and biosolids were prepared before the world of science knew about prions. The agency continues to cling to its antiquated sludge rule crafted back in the dark ages. It does, however, consider prions a “contaminant of emerging concern.” Meanwhile, its outdated risk assessments are promoting a public health disaster. Exposing crops and livestock to prions is a very bad idea. Plants absorb prions from the soil along with water and nutrient uptake, which makes the prions even more bioavailable and infectious to humans, wildlife and livestock. Unfortunately, the damage is real. 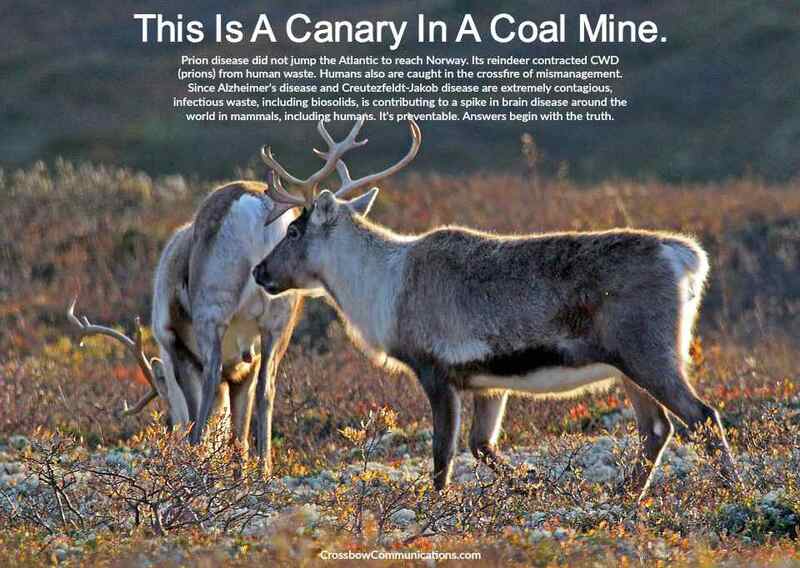 Deer, elk, moose and reindeer are contracting an unstoppable prion disease now. In deer, the government calls prion disease chronic wasting disease. In cattle, prion disease is called bovine spongiform encephalopathy (they might as well call it what it is—transmissible spongiform encephalopathy). Mad cow disease is the term that most of us know. The government pretends that there is a specific prion responsible for each of these diseases. The fact is that there are thousands of mutations of prions spreading in the environment and food chain now. Some kill quickly, while some are less lethal. The only thing that we need to know is that a deadly prion is a deadly prion. There is no species barrier. If prion disease is killing these animals, livestock are not immune. Beef and dairy cattle are consuming these infected crops and the infected water supplies, too. Since humans are at the top of the food chain, and since we are often downstream from these infected farms, ranches and forests, our food and water supplies are being compromised. Wind and tornadoes transport the infectious waste even further. 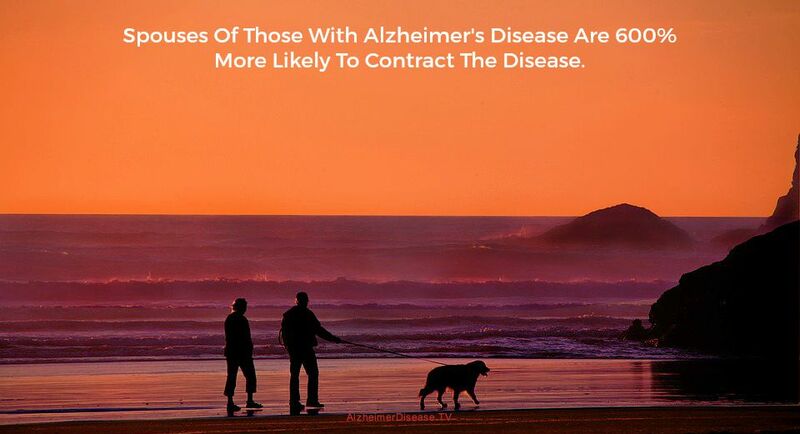 So, is Alzheimer’s disease transmissible? There is absolutely no evidence to the contrary. The truth is your best defense against neurodegenerative disease. It’s time to demand reforms on many levels to safeguard caregivers, family members and our food and water supplies. Despite all of the warning signs, government and industry are insisting that we waste more time, money and lives studying these issues to death. The infection is real. The body count is real. The denial is disturbing.